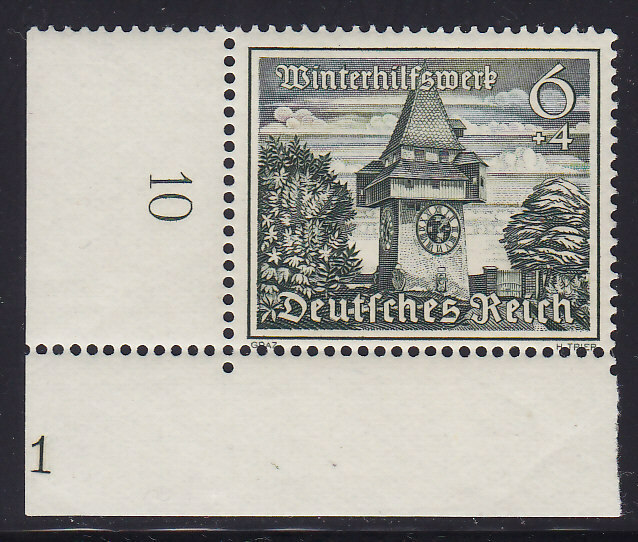 Special attention should be given to corner pieces bearing the printer’s control resp. 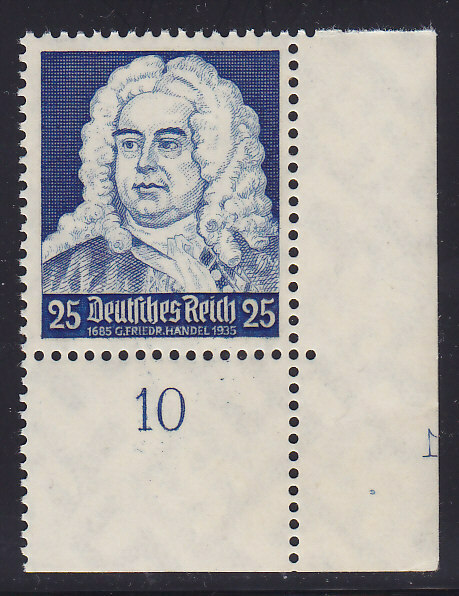 identification number (Druckerkontrollziffer resp. 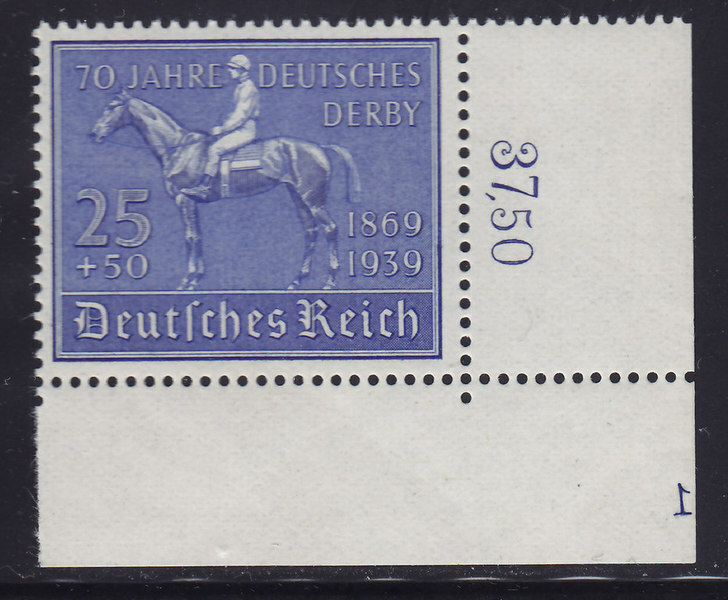 Druckerkennziffer = DKZ), plate number (PN) and form number (FN). To my knowledge these have never been systematically recorded. 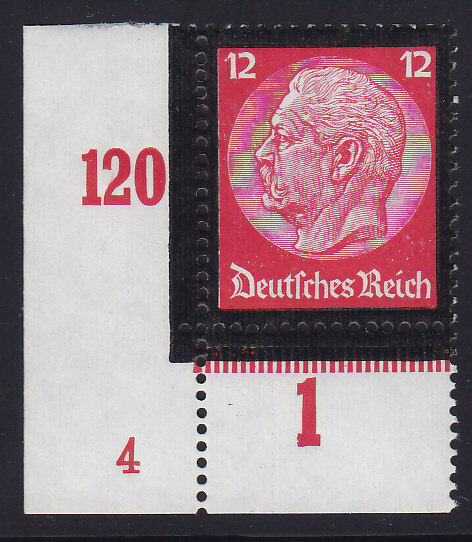 A first attempt will be made in the MICHEL Handbook of Corner Stamps of the German Reich 1933 to 1945. 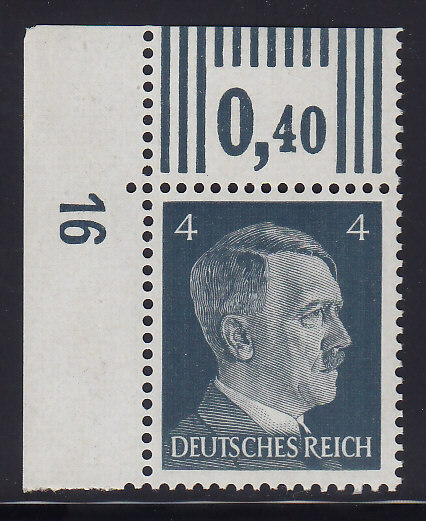 The Printer’s Control or Identification Number is mostly found on the current standard issues from 1928 onwards, types Hindenburg up to Hitler, but also on the commemorative issues of 1934 for the Saar Plebiscite and the Schiller anniversary. 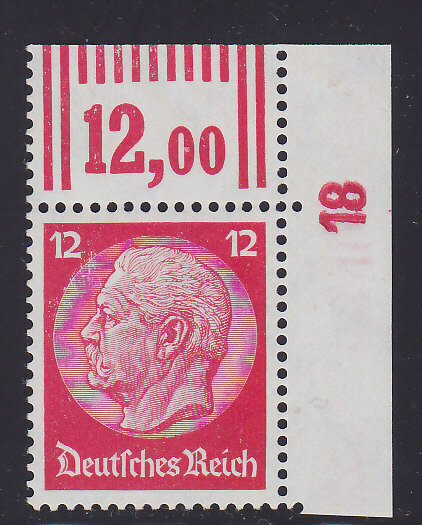 In most cases the stamps in the upper left or right corner (corner 1 or 2) are concerned. 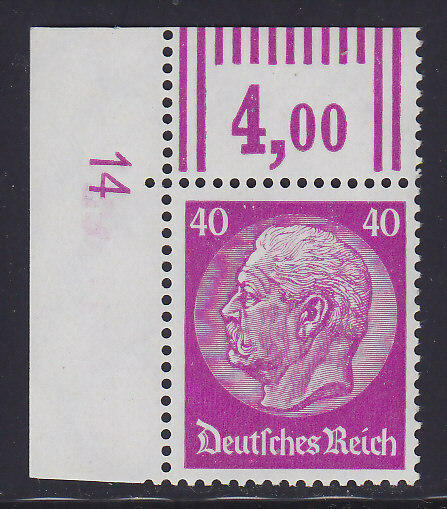 There the number appears at the height of the first or second row of the perforation. In the latter case – generally with two digit numbers – they are partial resp. incomplete. 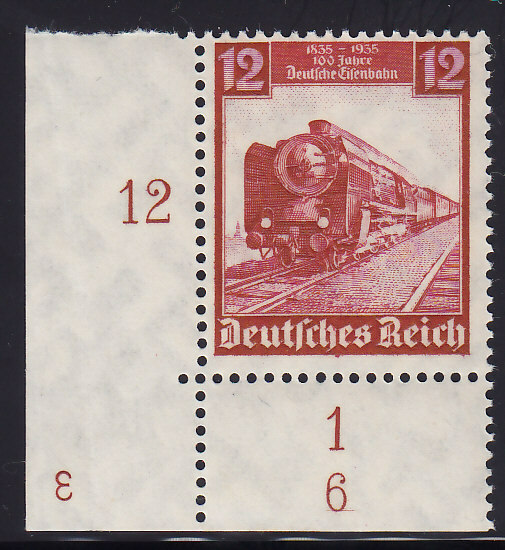 Their design remains constant well up into the post-war period until the current issue of Accident Prevention of 1971/73. These numbers must not be confused with the rotative control numbers which appear on the complete left and right sheet margin in rising numbers; they can be distinguished by their different type of characters! 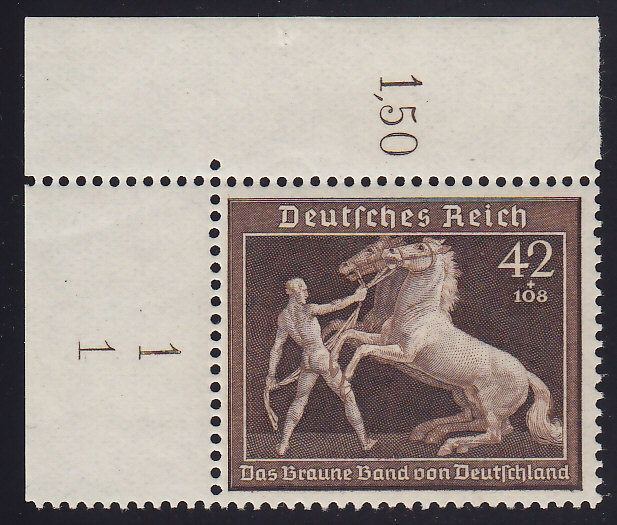 As a rule, form numbers exist for engraved stamps (StTDr.) only! 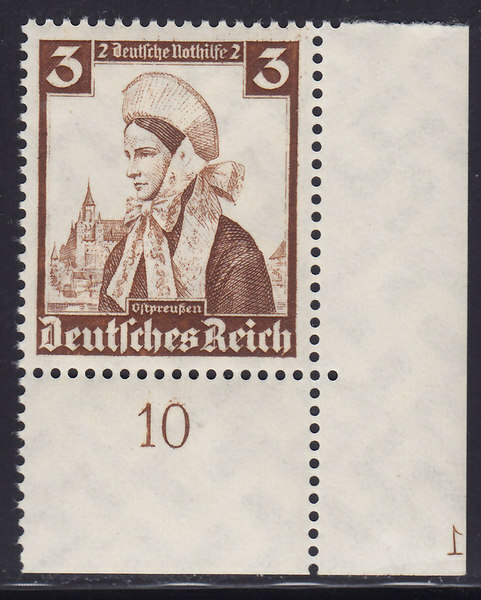 For printing reasons they are always found on the lower left corner (corner 3) below the row counter. 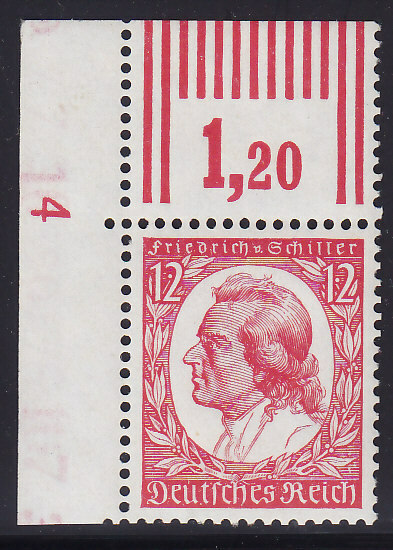 It is still a question to be clarified why these numbers do not occur with all engraved stamps and why in a set composed of several stamps they are reserved to a few values only. 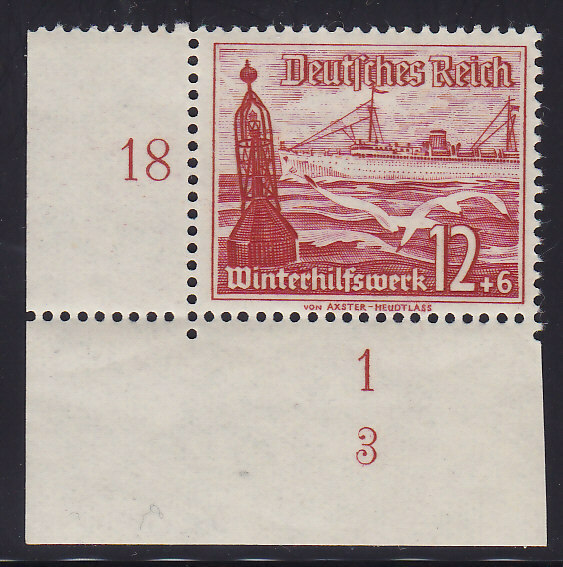 The first form numbers can be found with the Wagner series of 1933, the last with the winter relief issue of 1940. 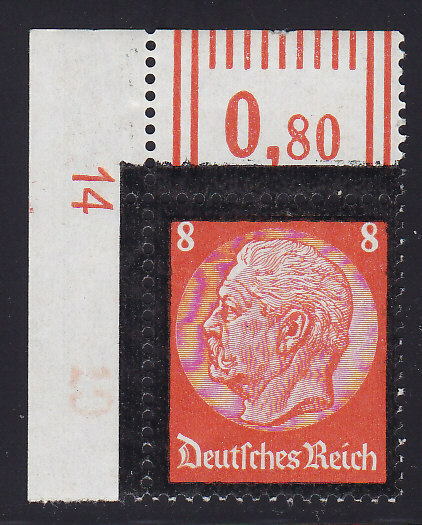 The highest known form number is the ‘8‘. With two exceptions (Michel no. 637 FN 3 and 4) they are always applied in reading direction! 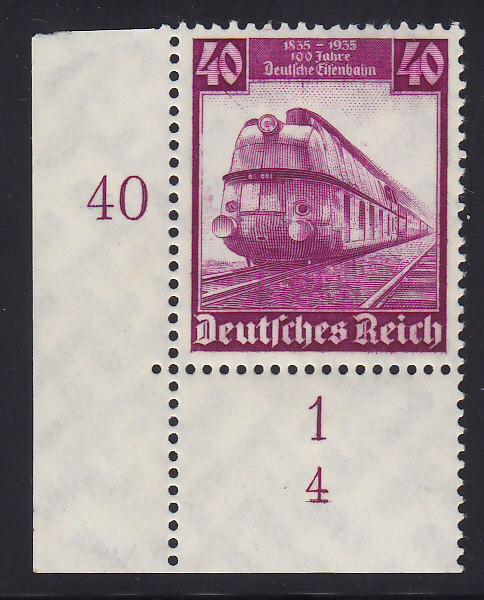 Plate numbers can be found at different positions of the sheet. On sheet corners they occur either in the lower left or right corner, sometimes in the upper corner depending on the cut of the sheet. For that reason the numbers are often partially cut. Occasionally they also occur on fields 45/46 with sheets of 50 resp. 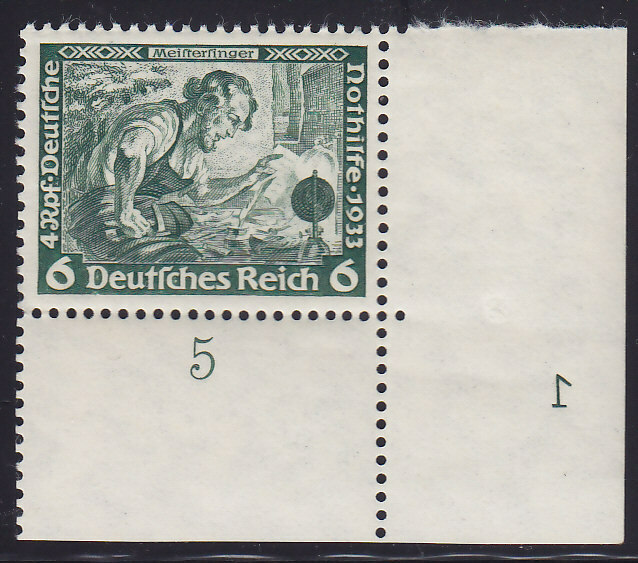 fields 95/96 with sheets of 100 stamps. 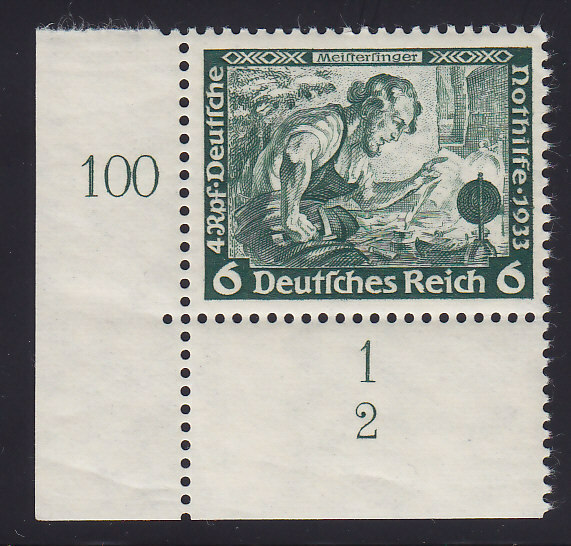 In the beginning they are applied counter reading direction (= mirrored). Only from ca. 1938/39 onwards they are in the right reading direction. 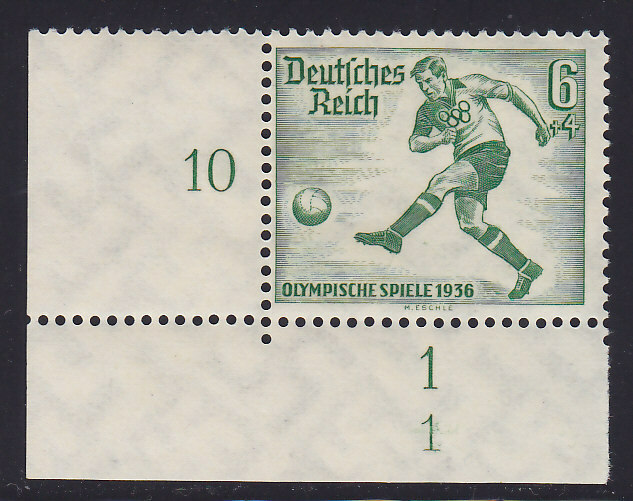 In some rare cases they can also be found in a corner in combination with the form numbers.